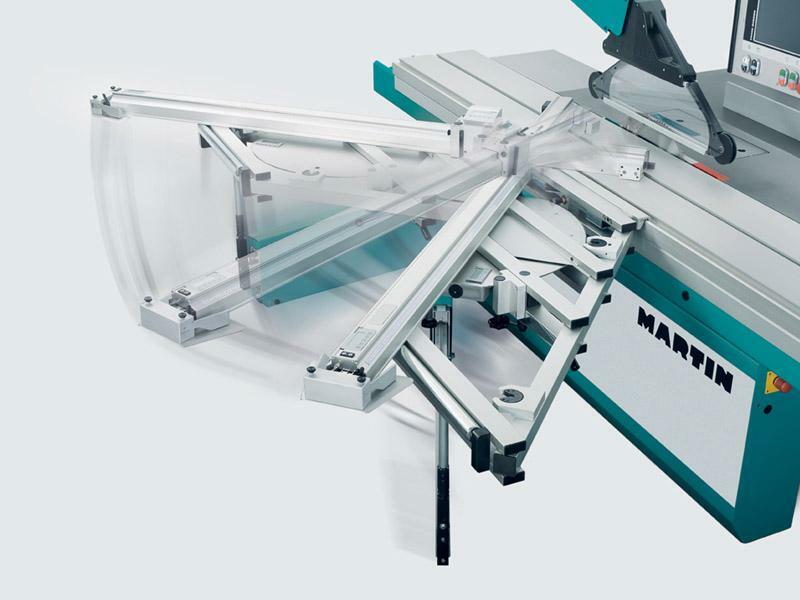 The angle stop with parallelogram cross table is attached at the trimming table of sliding table saws. 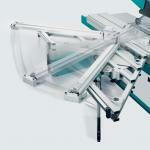 The cross table extends the support area for the workpiece. 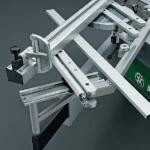 Additionally, this table is supported by a movable arm, which is attached to the machine stand. Now, when setting an angle, the entire angle stop with parallelogram cross table adjusts to this angle and thus, forms a parallelogram. 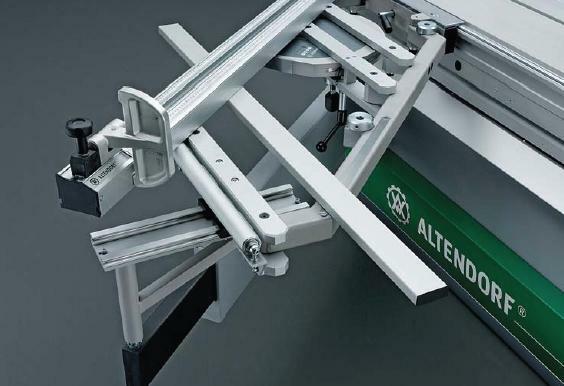 This ensures that the support area for the workpiece remains the same, no matter what angle is set.